This set includes a variety of Order of Operations problems. 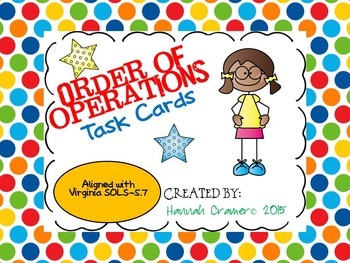 Students will have the opportunity to evaluate expressions, determine the steps to complete Order of Operations, and even create their own expressions to solve. This set even includes Technology Enhanced Questions where students will to select more one than one answer to complete the question. There are 4 TASK cards per page and there are a total of 52 TASK cards so that your students can review important math concepts while having fun at the same time. 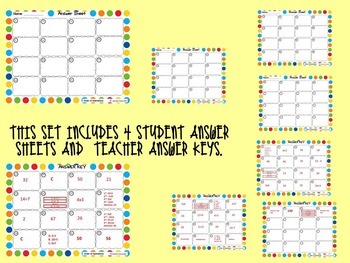 This set includes 4 student answer Sheets and teacher answer keys.